A hat is a hat is a hat...right. But this hat is well made, and sturdy. Thick fabric, sharp cuts on materials and colors are vibrant and sharp. This ultimate test to me is....it had no loose strings dangling anywhere. Loose strings on clothing is a sign of poor quality control and cutting corners by not having inspection personnel. There is only one more test to pass to see if a cap is the Mt. Everest of caps...can it withstand multiple washings without color fade. I'll never know cause I don't wash mine. I like the weathered look. Need a quality cap...get this brand. The quality is first rate, and the logo looks fantastic. It's a little small though. I mean it fits, but the actual hat should be longer all around. Even on a smaller person, it's kind of small that way. But it gets the job done of keeping the sun out of my eyes. I really wanted to give it 1 star, the only reason why I didn't is because the hat looks really nice. The major problem is that right where the hat touches the forehead, there is a hard piece of plastic that wasn't cut off correctly I guess and it pokes at the forehead the whole time. Extremely uncomfortable and can be painful. Wore it one time and will not wear it again because it's too uncomfortable. This is by far thee best hat I have ever bought! 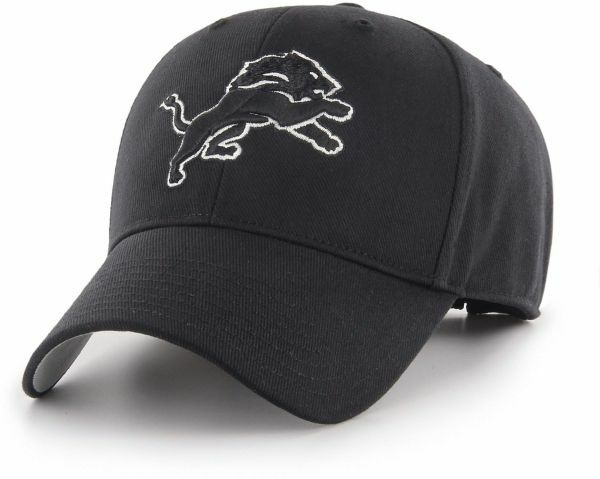 Stretch fit would of been cool but the all black out murdered lions hat is the best I’ve ever saw! When I ordered I didn’t realize it was black till I went to track package, so when it arrived I was skeptical but damnit boy! I’m in love with it! Might order couple more just so I have down the road sometime! A great hat. The front panel is sturdy, while the back panels are a softer cotton material. The emblem is well made, and the stitching is good. The emblem is just the right size ... not too big, but not too small either.